Shadow Conspiracy Multi Tools are made to keep you rolling during your session! 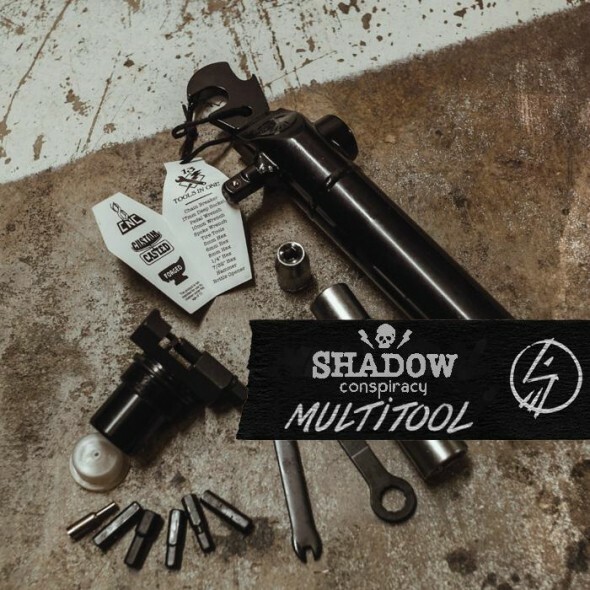 THE SHADOW CONSPIRACY MULTI TOOL is made for today’s current BMX bikes. A portable and durable steel tool case featuring multiple tools typically needed to work on any bmx bike. Includes: chain tooy/breaker, 17mm deep socket for your pegs, pedal wrench, 10mm wrench, spoke wrench, tire tools, 8mm hex, 6mm hex, 5mm hex, 1/4″ hex, 7/32″ hex, hammer, and a bottle opener to celebrate when you’re finished. Weight: 33.6 oz. Click HERE to watch the Shadow Multi Tool in action in a video! « Subrosa Turbo complete wheels coming soon to MASTER BLASTER PLANET!